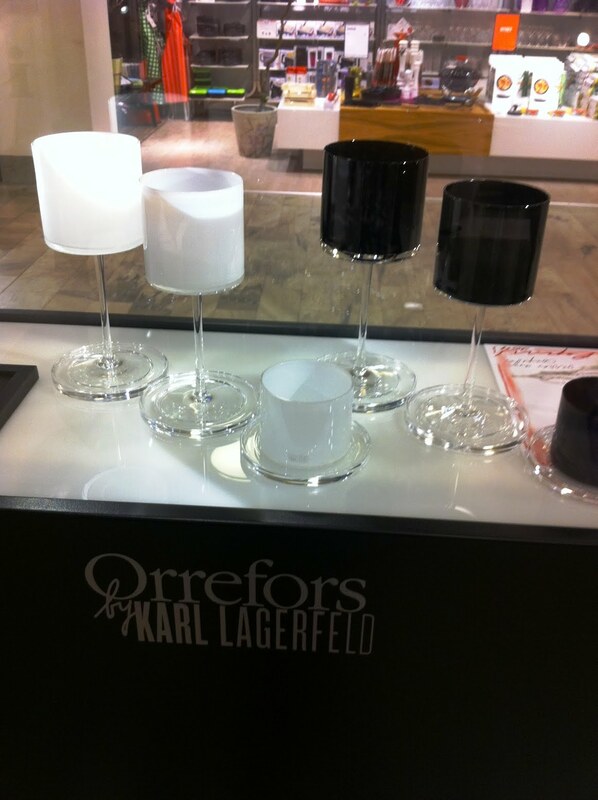 This week Orrefors had the presentation of the Collection they created together with Karl Lagerfeld. 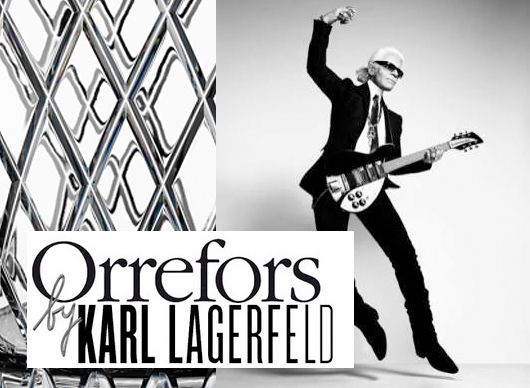 The Karl Lagerfeld collection of Orrefors crystal will also be available in gift boxes containing pairs of monogrammed champagne flutes and separately sold boxes of engraved coasters to place under them. These will be available in Europe as of 1 September 2011, then released in the United States for sale exclusively at Bloomingdale’s from 15 October, to go nationwide on 1 November. The Karl Lagerfeld series exudes functionality down to the tiniest detail. 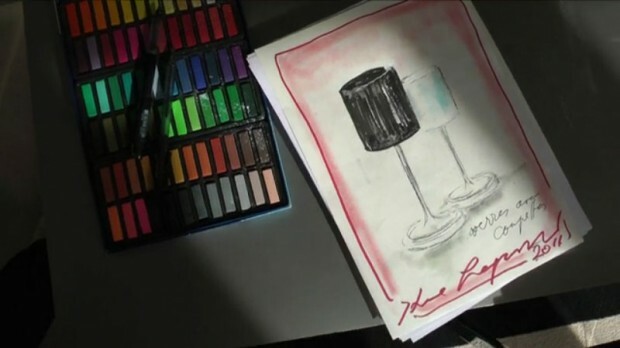 Besides from the KL monogrammed Black and White glasses “free standing geometrical cloud” like Karl described the white ones in a short video , you will notice each glass from the collection comes with an “under-glass”. The Orrefors glassworks has been a Swedish institution for over a century, carrying on the age-old tradition of hand-blown glass shaped by master artisans. With its exquisite engravings, streamlined forms and colours ranging from delicate to rich, the Orrefors brand is one of the great symbols of Swedish design and luxury. 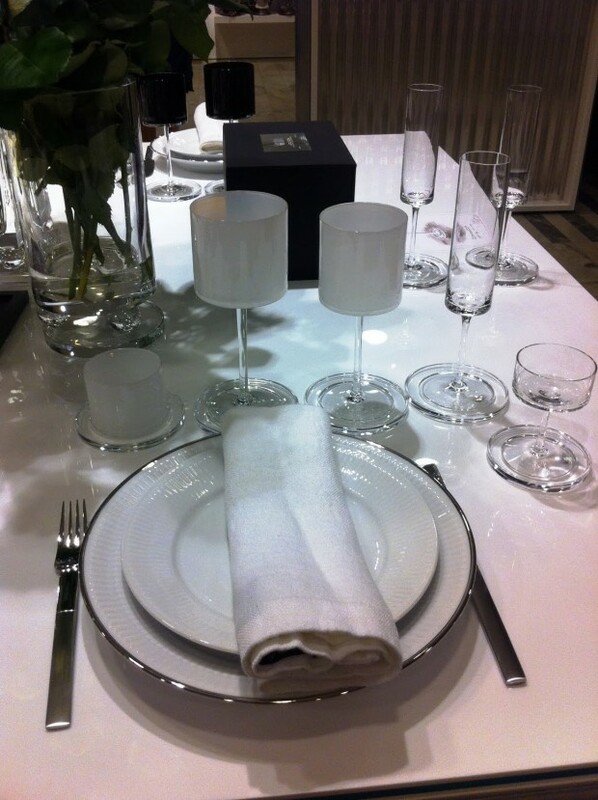 It is a world-wide brand, gracing the finest tables such as the Swedish Royal Palace.